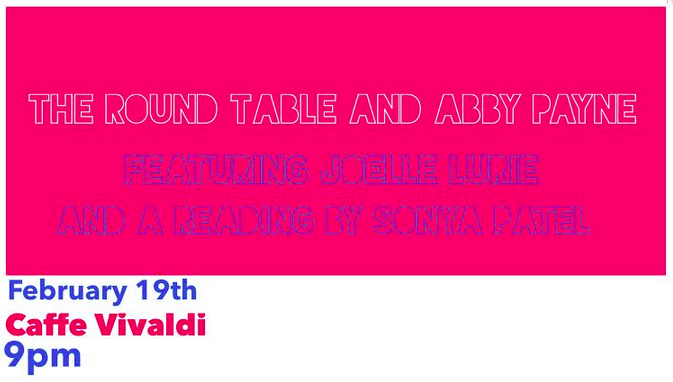 The Round Table and Abby Payne featuring Joelle Lurie and a Reading by Sonya Patel. Caffe Vivaldi, 32 Jones Street (Off Bleecker St Near Seventh Ave). Brooklyn Poets Yawp. $5 admission at 61 Local (61 Bergen St, Bergen and Smith). Russell Leonard writing group…presents selections of work, from new-age novels to prose poetry and everything in between. Readings will be shared by writers Jacqui Rossi, Maria Pedone, Christina Parrella, Taylor Tobin, Jessica Sarles-Dinsick, and Sonya Patel on January 25th from 5:30-6:30pm. 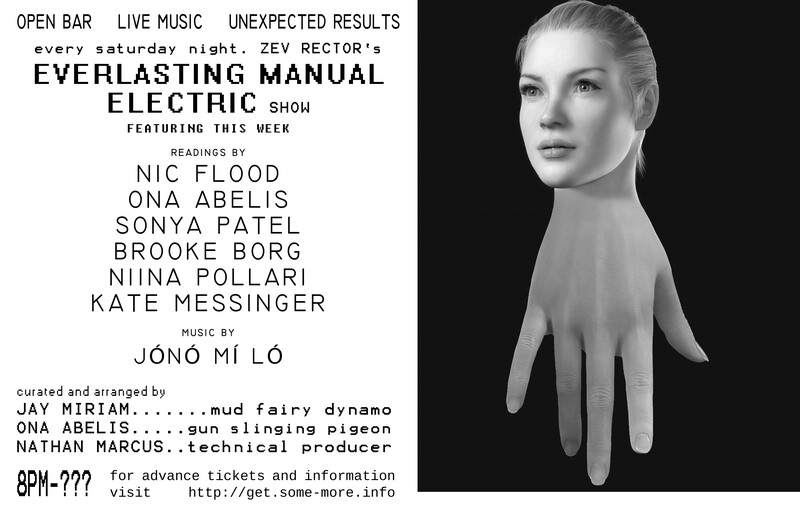 Come listen to these works while enjoying light snacks and wine in a Williamsburg living room (from Manhattan take the L to Bedford Ave and walk to the intersection of Grand St. and Driggs Ave.). Contact for details.